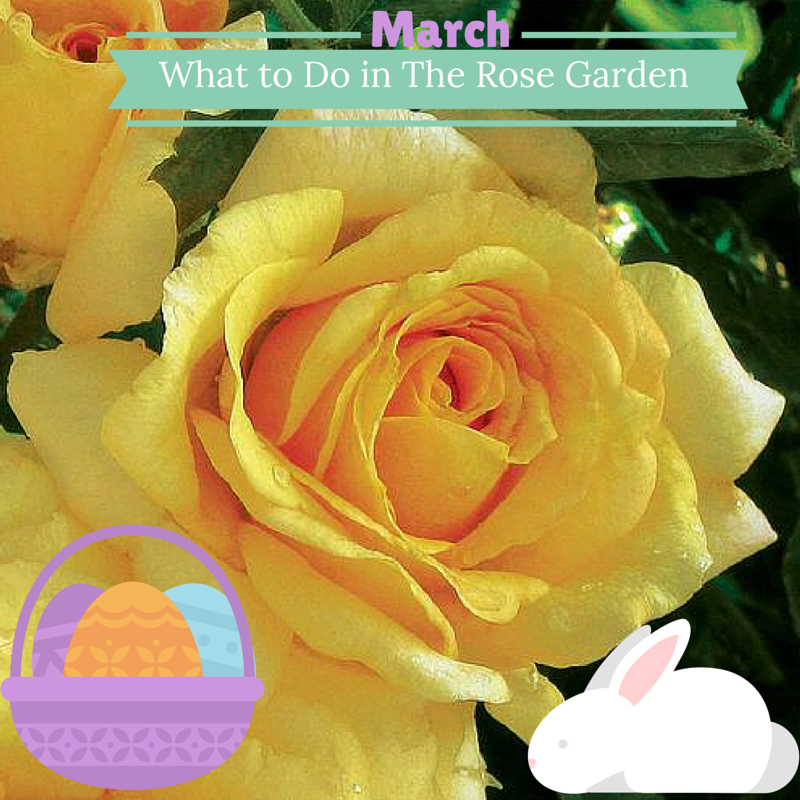 This is the third in a 12-part series of monthly tips for the rose garden. Check out the earlier blogs here: January. February. It’s that time of year when we start to get unseasonably warm days promising that spring is truly here. While the cold will likely have another go or two at us before surrendering, don’t waste the good weather while it lasts! This is the perfect time to really get out in the garden and start getting your hands dirty. 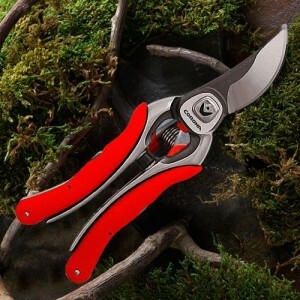 Finish Pruning: It’s time to direct the flow of energy through your plants. You don’t want your roses to waste a bunch of energy growing canes in spots where you don’t want them! Plant Roses/Transplant Roses: Get all your new or transplanted roses in the ground now so that they have time to establish. Amend Soil with Rose Tone: Now that the ground is (hopefully) workable, amend any future planting sites with plenty of organic material like compost or Rose Tone. You want to be sure that this material gets to break down a little bit before your roses’ roots start heavily feeding. Finish Pruning: Again, you don’t want to have your roses wasting energy. Apply Systemic Granules for Disease Prevention: Systemic Rose and Flower Care is pretty amazing. It’s a fertilizer with a little bit of pesticide mixed in. As the roses’ roots take in nutrients, they also take in this pesticide, protecting them from infestation from the inside out. Applying this early in the season will save you that much more time and money later in the season when you don’t have any pests that need sprayed. You know what they say: an ounce of prevention is worth a pound of cure! Apply Dynamite Slow-Release Fertilizer: Of course, some slow-release organic fertilizer also helps. Be sure to work some Dynamite into the soil, if you haven’t already. It’s specially formulated with the exact nutrient profile that roses love. 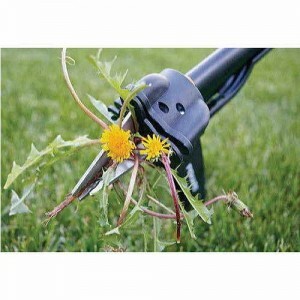 A weeding tool can really save your back. Plus its satisfying to plunge serrated steel into those evil weeds. Apply Organic fertilizer: Soil health isn’t just about how much Nitrogen or Potassium is in the soil. It also requires healthy microorganisms. Worms, decomposing bugs, beneficial bacteria, and networks of fungus all help to digest and incorporate these nutrients so that they will be organically available for plants’ roots. Adding organic matter to the soil isn’t just feeding your plants, it’s making your soil come alive! Watch out for Aphids and Spider Mites, Treat with Earth-Tone: You know the downside to mild winters? Severe bugs. In warm zones the pests might already be waking up, so be sure to keep an eye out, and when you see them, treat them with an insecticide. We recommend Earth-Tone because it is all natural and it is effective at both treating and preventing most rose pests. Weed as necessary: Weeds happen. Inevitably. If you mulched well in the fall, hopefully you have few interlopers to deal with. But be sure you stay on top of the weeds. It is a lot easier to pluck a few here and there than to deal with the hundreds that can follow if you let any weeds get to seed. It’s also a lot easier if you use the right tools. Enjoying the nice warm weather? Tell us what you’re getting up to in the garden! Does the systemic insecticide that you recommend affect bees or other beneficial insects? It seems like a significant issue, especially here in the USA. The active insecticide in the Systemic granules is Imidacloprid, which is a neonicotinoid. So unfortunately, it can kill bees and other beneficials if they ingest it. However, since this product is applied to the roots and absorbed by the plant rather than being sprayed all over the leaves, beneficials are much less likely to ingest it. Systemic primarily affects bugs that eat the foliage or drink the sap, which is usually the pests. The imidacloprid stays in the plants’ system for about 8 weeks, which makes it good for protecting new growth from pests. I would stop applying it 8 weeks before your plant is expected to start blooming, so that way it will be gone before your roses start getting pollinated.